We were out on an afternoon walk yesterday when we were stopped by a strange sound, the kind of popping from power lines or electric fences you sometimes hear when the air is humid. But there were neither power lines nor fences nearby. 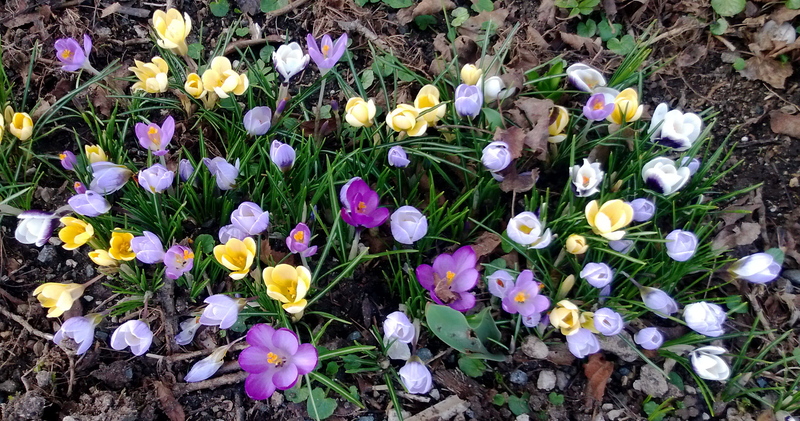 What there were, however, were pine trees, and the crackling, popping sound was coming from their male pine cones opening in the warm spring air. 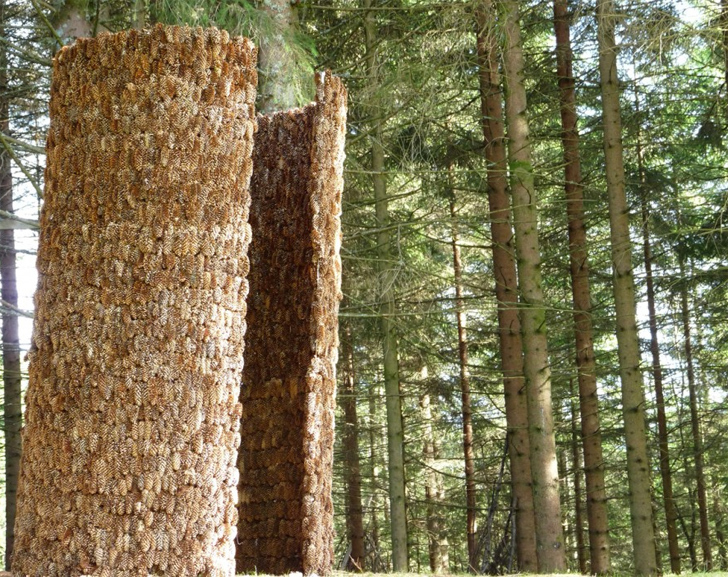 I found this pine cone tower, an ode to the forest, by Mexican artist Iván Juárez, an installation he created in Norway. 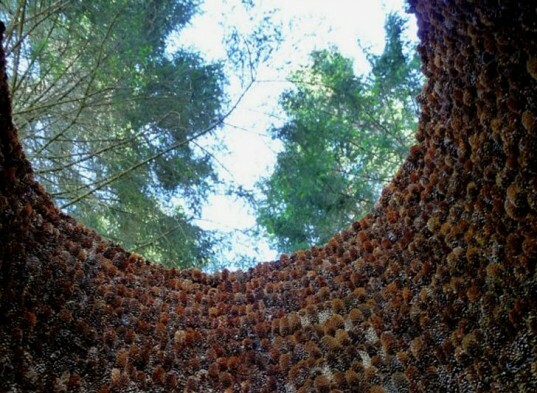 Seeing the sky through pine cones, not a bad vantage point. The pine cones are moisture sensitive, closing up to protect their seeds from dispersing when the weather is damp and the seeds might rot before establishing themselves. So it’s some indication of how dry it’s gotten over the past ten days that the pine trees consider it safe to open up their cones. 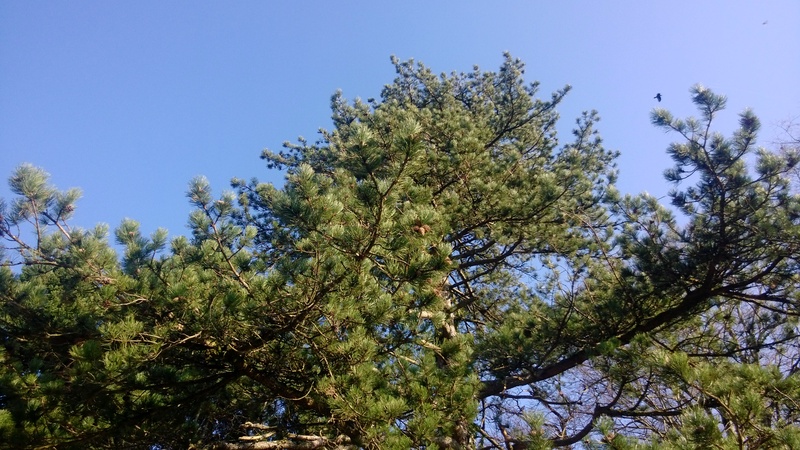 We tried to record the sound – if you listen carefully (or with headphones) you can hear the constant patter of the pine cones snapping over the birdsong.